France was voted the best destination to indulge in food and wine in International Traveller's Readers' Choice Awards 2015. France was voted the best destination to indulge in food and wine in International Traveller’s Readers’ Choice Awards 2015. A map of France reads just like a menu: Bordeaux for wine; Burgundy for cheeses; Perigord for truffles; Brittany for crêpes; Champagne for… a very good time. 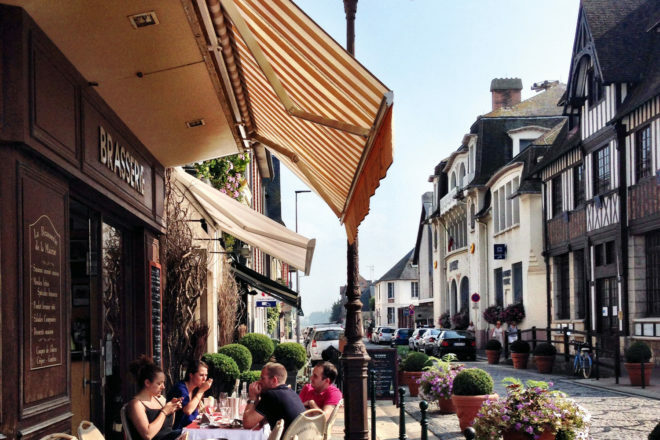 Indeed, hopping from one bistrot to the next savouring famous dishes such as salad niçoise, ratatouille, boeuf bourguignon and foie gras would make for a very indulgent holiday indeed. But we also love the simple things, like the morning ritual of a hot croissant with coffee or a fresh baguette from a boulangerie in Paris. For the French, feasting is a daily ritual and celebration, rather than just a way of sating hunger. This was recognised in 2010 when UNESCO inducted the rite of a French gastronomic meal on its heritage list of intangible cultural heritage items.